It’s no secret that superhero movies are everywhere. The genre is extremely popular, and able to make massive sums of money at the box office. If the fans are behind it, that is. With so many comic book adaptations in theaters, studios are challenged to craft blockbusters unique perspective, that will set it apart from the already bloated genre. Luckily for Warner Bros., DC is breaking new ground with David Sandberg’s upcoming origin story Shazam! And just like that, Shazam has spoken. Because while Marvel and DC may have fought over the title of “Captain Marvel”, Zachary Levi doesn’t feel that sort of rivalry with Brie Larson’s Marvel blockbuster. And he doesn’t want his success to be at the cost of another comic book movie. 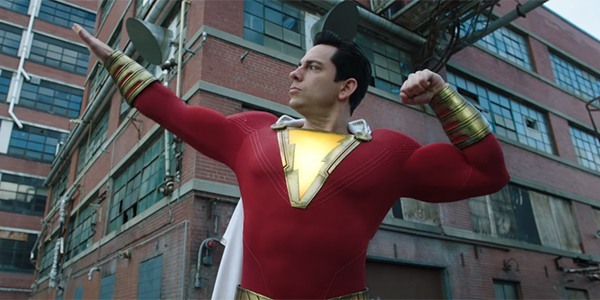 Zachary Levi’s comments come from his recent conversation with The Associated Press ahead of Shazam!‘s release. Comic book fans are very passionate, and the rivalry between DC and Marvel has been going on for decades. But Captain Marvel was met with a particular level of hate ahead of its release, and that’s not something that Levi wants any part of. The rivalry between Shazam! and Captain Marvel comes from the comic book origins, where the mantle of “Captain Marvel” was fought for by both DC and Marvel comics. The name was originally held by the character played by Zachary Levi, while Carol Danvers went by Ms. Marvel. Eventually legal issues hampered the original character, and Marvel comics scooped up the name. As such, DC renamed the character Shazam. The hate for Captain Marvel was due to Brie Larson’s comments about diversity in the press. But that didn’t stop the movie from getting solid reviews and making a ton of money at the box office. Now we’ll just have to see if Shazam! follows suit.